Contact Setmore Support from inside the mobile app, and get a quick response anytime day or night. Setmore’s support team is available to respond to your questions or help you resolve challenges anytime, day or night, 24/7/365. 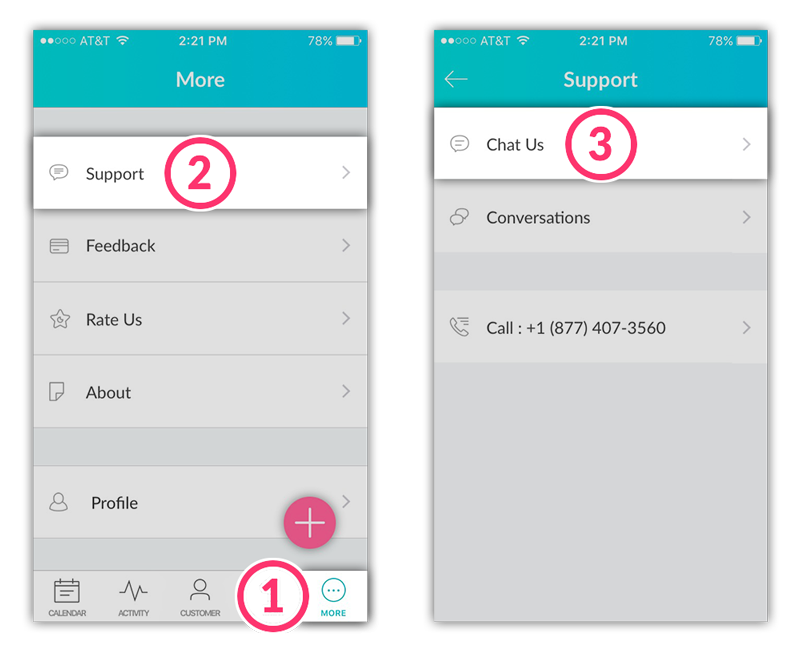 If you’re having problems using the mobile app and need immediate assistance, you can start an instant message chat with our help desk from inside the app. Typical response times are about 1-3 minutes. Tap More in the bottom navigation. In the More menu, tap Support. In the Support menu, tap Chat Us. A new chat window will open. Simply enter your message and hit Send, and a specialist with respond to you shortly. How do I look up old support chats? You can access most of your old support chats in the Support menu. In the Support menu, tap Conversations. Here you will see a listing of old chats and messages sent to your account. Tap the conversation you wish to retrieve. Note: Replying to an old conversation will re-open the ticket and a specialist on our team will respond shortly. If you prefer to contact us by means other than texting, you can also send an email to help@setmore.com or call us at +1-877-407-3560.